BPM is not present on the record and was recorded at zero pitch using EFX-500. No consequence rap on the album version of "the chase part II" ! Consequence rap verses only available on the award tour 12" single. Matrix / Runout (Runout Side A): HIP - 143 - A1 MAX. Matrix / Runout (Runout Side B): HIP - 143 - B1 MAX. Matrix / Runout (Runout Side C): HIP - 143 - C1 MAX. Matrix / Runout (Runout Side D): HIP - 143 - D1 MAX. 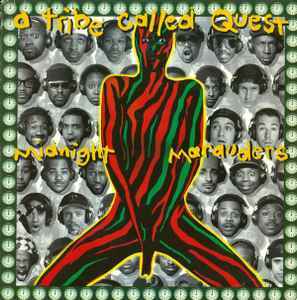 Happy 20th birthday Midnight Marauders!